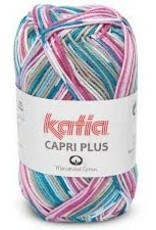 Katia Capri Plus - Woolly&Co. 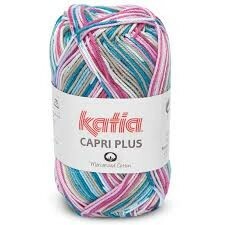 Perfect for knitting colorful garments for summer or winter, this 100% Mercerized Cotton is easy to work with and lovely to look at. 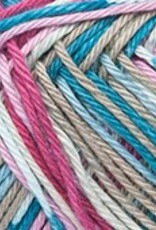 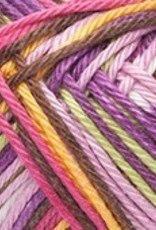 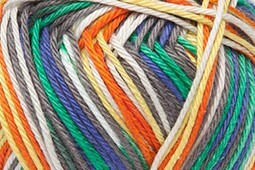 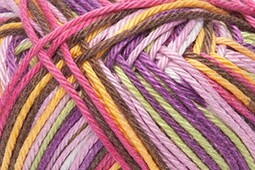 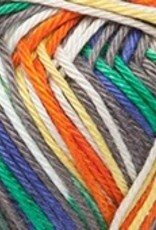 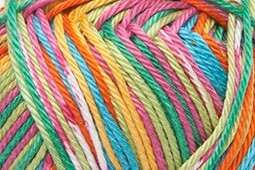 A great choice for knit or crochet garments or accessories, or even toys and friendship braclets for adults or children. 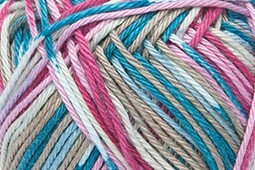 It combines shades of color perfectly.